High - 435lm Slightly trimmed 16mm copper DTP MCPCB with Nichia 219C. I made a prototype brass sleeve to contain a copper sliding bar with a spring on the end so the light can run on 18350 cells and dispense with the signal spring. Swapped the black O-ring for a green GITD version, the plastic window for a 22.7mm x 2mm ARC glass version and some GITD tape in the grooves. Thanks for posting, very beautiful work. 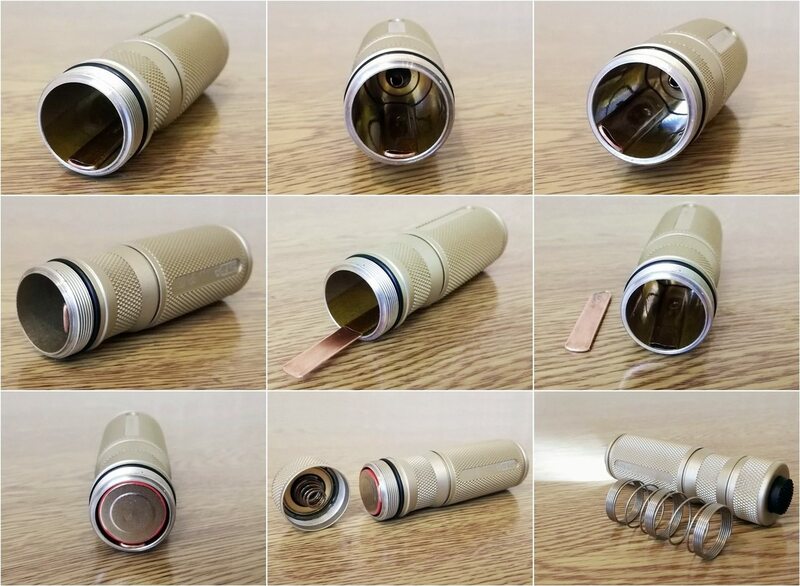 Awesome stuff, love the idea for 18350, much better to have 1100mah V 550mah of my little 16340 tanks. You’re absolutely right about that But as already said here, a super conversion, I’m already very excited about the little Novatac. 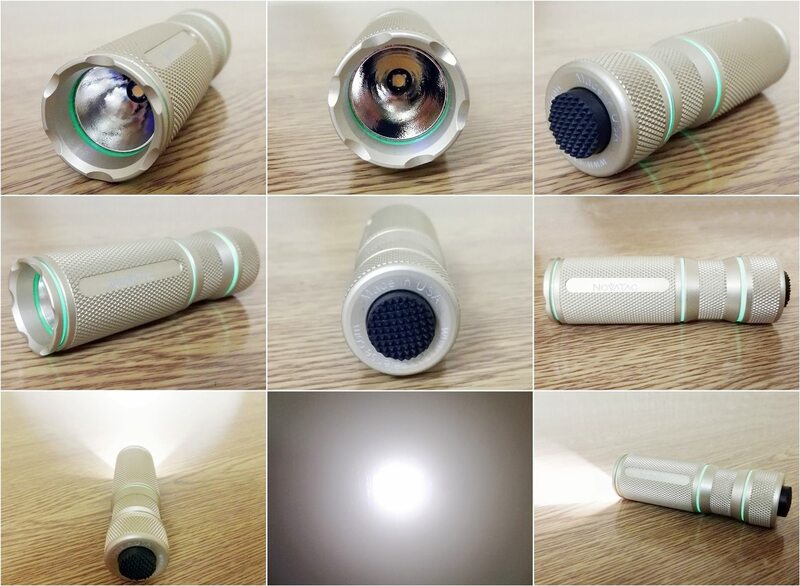 435 lumens @90CRI!!! With HDS UI to boot. And I Love your sprung brass signal bar for 18350! Love the brass sleeve, much more elegant than the original spring.